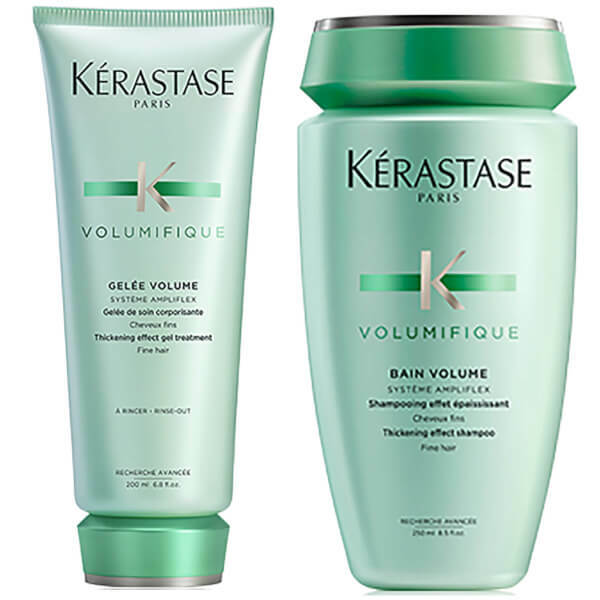 Achieve voluptuous locks full of body and bounce with the Kérastase Resistance Volumifique Bain and Gelee Duo. This unique pair boasts a lavish texturising shampoo and a lifting conditioner to give your hair a natural lift with lasting radiance. All you need for salon perfect hair, this set is a must have! 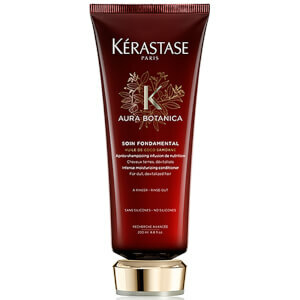 This Volumifique Bain by Kérastase Resistance is a creamy shampoo designed to give your hair volume and body. Lifting from the roots whilst locking in a salon perfect shine, this shampoo even works on long hair to give a texturised, long lasting shape. 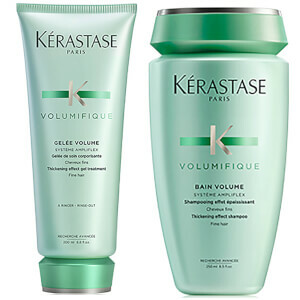 Formulated with innovative ingredients that work to give your hair a boost in volume, texture and lift, this Volumifique Gelee by Kérastase Resistance is a lavish conditioner that gives you noticeable results. In a translucent gel consistency, it works to deeply nourish whilst targeting vulnerable zones in the hair to add thickness and body.